For animals at Kansas City Zoo, how cold is too cold to be outside? 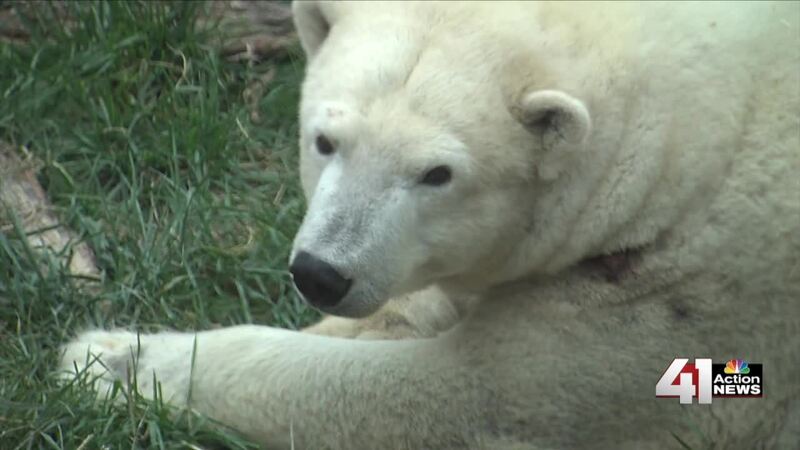 For animals at KC Zoo, how cold is too cold? KANSAS CITY, Mo. — The Kansas City Zoo is a popular place to visit throughout the year, but before winter arrives, zookeepers need to make some additional preparations to keep the animals safe in colder weather. The temperatures outside will normally determine which animals are on exhibit that day. Some animals don’t mind the cold. The Kansas City Zoo’s lions, tigers, cheetah and leopard can handle temperatures as low as 25 degrees in the winter. These animals even have heated rocks in their exhibits to help keep them warm if needed. Of course, the zoo’s two polar bears, Berlin and Bam Bam, love the winter weather. Giraffes are very sensitive to the cold. It must be 65 degrees or warmer outside for them to be on exhibit. But visitors can sometimes get lucky and see the giraffes on a warm fall or winter day. The newest giraffe, Maxwell, was born in September and finally made it out on exhibit for the first time in early October. Temperatures are not the only factor that zookeepers consider during the winter months. They also take into account weather conditions and “feels like” temperatures. “We do have to keep into consideration, is it raining, is it snowing, is it really windy, because that feels like temperature is the same for the animals that it is for us,” Putney said. If a major winter storm is expected, the zoo has plans in place to keep the animals safe. For example, an overnight skeleton crew will spend the night in the penguin exhibit. “The skeleton crew is here to do at least the basics, make sure the animals are fed, making sure their environments are okay and do some basic cleaning,” Putney said. The slippery conditions created from ice or snow during the winter can make it dangerous for some animals, such as kangaroos. This factor is important to take into consideration for elephants as well. If it’s too muddy, icy or snowy, they must stay at the “elephant overlook” — a secondary area closer to their barn designed to keep them from slipping and falling. Temperatures must be above 45 degrees for the friendly giants to be out on exhibit. Like the elephants, the zoo’s great apes require temperatures to be above 45 degrees if they want to be outside and play. Luckily, visitors can still see the orangutans on colder days. Their indoor space is visible to zoo guests no matter the weather. There are several other areas for zoo visitors to take a break from the cold during the winter season. Several exhibits have space heaters available for guests. Visitors can also go to Stingray Bay, which is a heated indoor space where guests can feed the stingrays. Whether the winter months are mild or brutal, the Kansas City Zoo has the same goal for each of its animals, from giraffes to polar bears.